Sweet, gooey and scented, it’s easy to become slightly obsessed with honey, well for us anyway. We always like to keep a jar to hand in the pantry, whether it’s made just up the road or something more far flung, such as a Greek honey. While it is good to support your local honey producers, we sometimes like to try honey from other sources to experience a different world of flavour. Euzoea honey from NV Greek Foods captures the essence of the wild hillsides in the island of Crete. The colour is rich, dark and clear like the most beautiful amber. Its consistency classifies it as a runny honey although it is by no means thin. The viscosity is quite sticky but flows easily to make it suitable for spooning and drizzling. Depending on the types of plants that the bees forage upon, honey varies between runny and clear to opaque and set. The flowers also impart their unique flavour characteristics, making honey which can differ considerably from region to region. Decent honey may not be cheap, but it is the pure unadulterated product likely to carry the signature flavour of the countryside where the bees have gathered nectar. 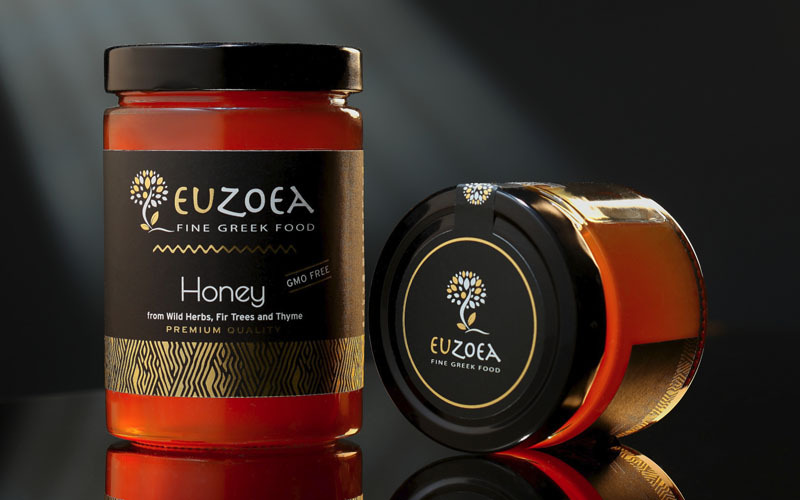 Euzoea Greek honey smells delicately floral and the flavour is complex and fruity. The honey sources of wild herbs, fir trees and thyme combine to produce a product which is deliciously herbal and sweet. We have enjoyed this Greek honey in a variety of ways from simply spreading on our morning toast to drizzling over a bowl of porridge. The warmth of the porridge really brings out the woody thyme flavour. 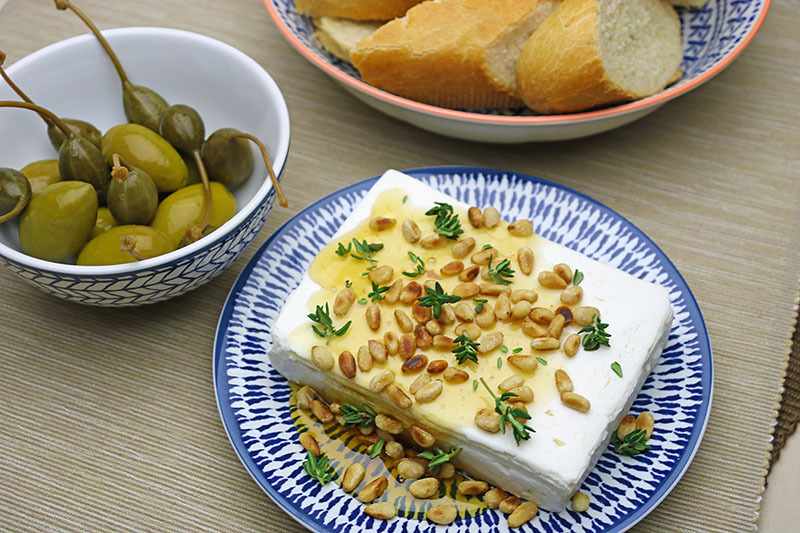 It is fantastic trickled over feta cheese finished off with a sprinkle of toasted pine nuts and fresh thyme. Just squash on to crusty read for a sweet and salty sensation. We also love using honey in cooking as it’s ideal for baking. Honey has hygroscopic qualities, meaning that it attracts water, thereby keeping cakes moist for longer.